Tasty Fresh Food Co has donated over $20 million in food over two decades to help feed people in need through the Vinnies Soup Van program. The program is led in Victoria by the Footscray and Fitzroy Soup Vans, which donate 40,000 and 140,000 meals annually to disadvantaged people in Melbourne. Tasty Fresh Food Co sells a range of hot and cold food to building site, factory and office workers through their lunch vans. Every weekday any leftover pre-packaged food, both hot and cold, is distributed to multiple Vinnies Soup Vans to feed the marginalised in inner-city Melbourne, Perth and Sydney. “Our volunteers spend considerable time preparing food 365 days a year, and donations from the Tasty Fresh Food Co make their job much quicker and easier. We are immensely appreciative of their generous support over many years,” said Danusia Kaska, St Vincent de Paul Society Victoria Soup Van Operations Manager. The Australian foodservice industry throws away an average of 23 per cent of the food they buy for business every year. 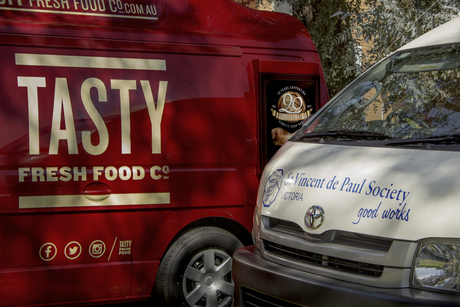 Tasty Fresh Food Co’s partnership with Vinnies Soup Vans directly addresses the issues of leftover food waste and its associated costs, together with an initiative the company and its customers are proud to support. “Our customers love knowing that the food they see every day isn’t simply thrown in the bin at the end of the day. With Tasty Fresh Food Co they can eat their lunch knowing that any food not purchased will be given to those in need. 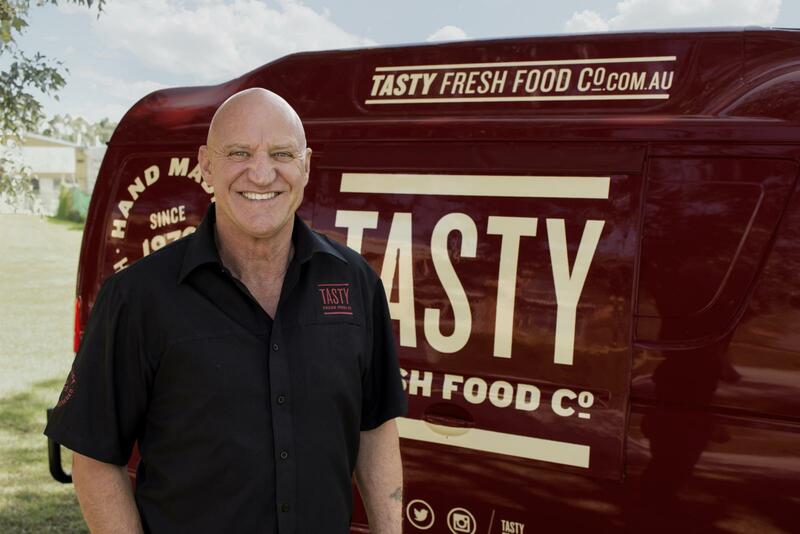 Too many food service businesses in Australia throw away perfectly good food that could go to people in need,” said Colin Lear, Founder and CEO of Tasty Fresh Food Co.